Echeveria -Debra Lee Baldwin- Those with tight rosettes tend to form hen-and-chicks clusters. Echeverias that resemble cabbages usually grow atop ever-lengthening stalks. 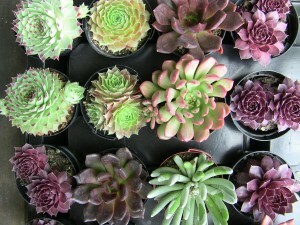 Ruffled varieties like those in the photo are among the showiest of succulents. All are ideal for containers, in fact, I discourage people from growing echeverias in garden beds as the leaves are easily marred. Echeveia subrigida is among those that tolerate a few degrees below freezing. Kalanchoe -Debraa Lee Baldwin- These succulents are prized for their colorful or felted leaves and their flowers. Plants come in a variety of shapes and sizes. 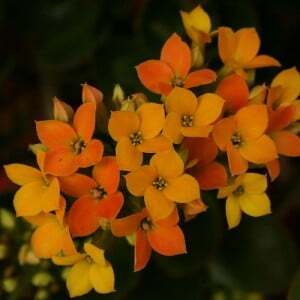 Most common is Kalanchoe blossfeldiana (shown here), which is sold in supermarkets; numerous hybrids produce long-lasting blooms in crayon colors. Surging in popularity is Kalanchoe luciae; its paddle-like leaves are sometimes wavy, and turn from teal to bright red when grown in full sun. Frost tender. Mums (Wison Bros Nursery)-In the South, the hardy garden mum (chrysanthemum) is one of the most exciting perennial (returns year after year) flowers that can be grown in the home landscape for fall color. 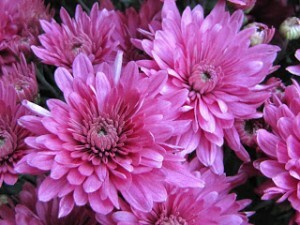 Garden mums require a minimum amount of care and do well even under some adverse conditions. There are literally hundreds of varieties with flower colors that range from white to yellow, pink, purple, bronze, red and all the hues inbetween. 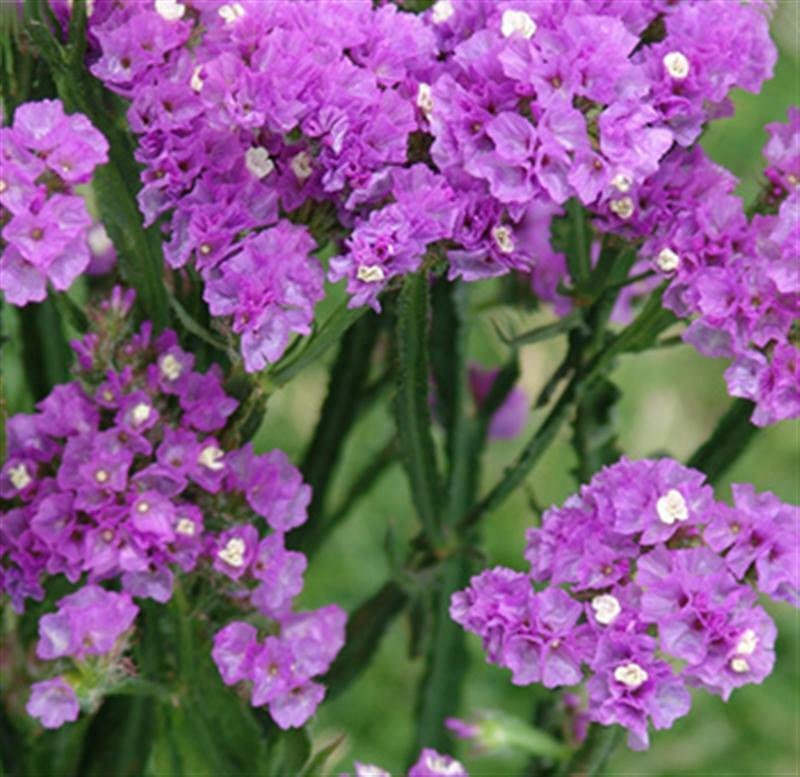 Statice– (Teleflora) Grown for both its colorful flowers and its everlasting calyx (the green leaf that encloses the flower bud), statice is also considered an herb, referred to as “sea lavender.” Statice is commonly used in dried flower arrangements as well as fresh bouquets. 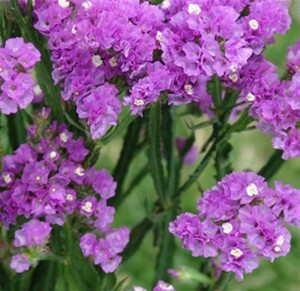 Its botanical name is derived from the Greek word “limonium,” meaning meadow, referring to the plants original habitat and likely why this versatile flower is also called marsh-rosemary. 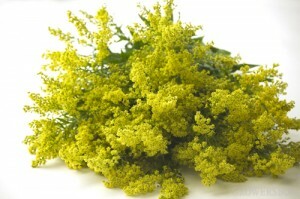 With a misty and seafoam appearance (two more names associated with this wildflower-like plant), in the language of flowers, statice symbolizes remembrance. Button Poms (Whole Blosoms)A variety of Chrysanthemum, assorted colored Button Pom flowers are available year round. Assortment includes white, green, and yellow button poms. Button Pom chrysanthemums are resilient flowers that can endure hot weather and lack of water, perfect for outdoor celebrations. 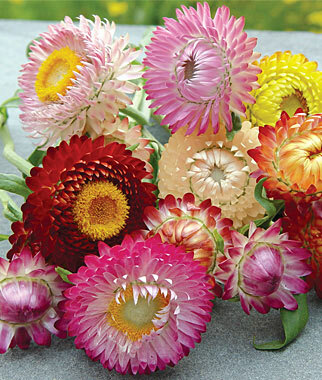 Straw flower– Burpee Double blooms often over 2½” across, freely borne on long, strong stems in a full range of colors. Straw flower is popular for dried bouquets and as fresh cut flowers. Light Indoors Give cacti and succulents the brightest light or sunniest window that you can provide. Most cacti and succulents are not happy in shady corners or north-facing windows as they need at least four to six hours of strong light daily if they are grown indoors. Plants with inadequate light may stretch (skinny growth). Light Outdoors Some cacti and succulents can tolerate full sun. However, it is important to realize that during the hottest days of summer, when the solar radiation exceeds 11,000 foot candles, all plants would welcome some respite from the harsh afternoon sun. Many cacti and succulents prefer to be positioned in an area that receives morning sun, and is protected from the stronger afternoon rays. Some cacti can even sunburn, as in the case of the spineless or naked cacti, unless given some shade in the hottest part of the day. Reddish discoloration, either in part or on the entire plant, is usually the result of overly strong solar radiation. Remember that most cacti and succulents receive shading from grasses, shrubs or trees in their natural habitat, especially when they are young. Water The general “Rule of Thumb” is: “When you water, water well.” However, with succulent plants you must be careful to make sure the plant needs water. Feel the weight of the pot when just watered and when it is dry. A totally dry pot weighs considerably less and is one sign of a thirsty plant. Feel the soil at least one inch down and if the soil is dry it is time to water the plant. Let the water thoroughly drain through the roots and out the bottom, making sure the entire pot of soil is saturated. Drain thoroughly; never let plants sit in water. Use a soil mix that drains well and allows some drying out between waterings. Top dressings, such as small pebbles or coarse gravel, offer quicker water penetration, slower water evaporation, elimination of a crust on the top of the soil, and a neat, attractive appearance. When plants are vigorously growing and blooming, they will need more water. During their non-growing or resting stage, usually in cold winter weather, they will need very little water. Bouquets – Your bouquet should be kept in a vase where there is a lot of natural light (near a window) in a room between 60 and 70 degrees. After the wedding the bouquet can be admired for up to two weeks. At that point you will start to see roots…. Hair combs, Corsages and boutonnieres – Both of these items should be placed near a window in a room between 60 to 70 degrees. No water needed for 2 weeks, after that a light spry will be nice to encourage root growth. Wedding favors in growing pots – These plants can be kept outside out of the direct sun in temperatures ranging from 60 degrees to 80 degrees. They do not like or need lots of water. If the soil is moist let the soil dry out completely and then let them stay dry for another two to three days before watering.